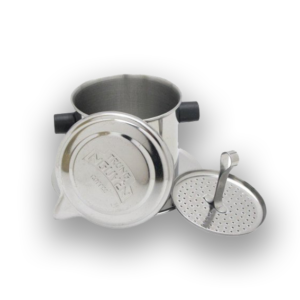 Maxi Starter Set is a special offer for true coffee lovers who desire to enjoy three new flavors. 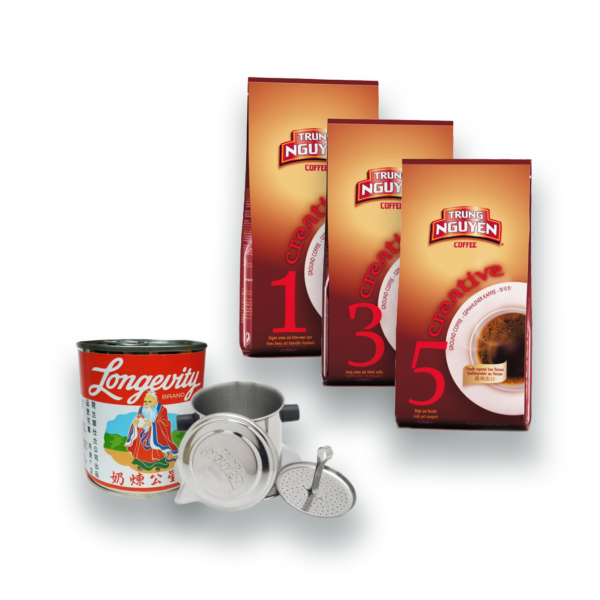 The Set contains three packages of 250g Trung Nguyen Creative blend No. 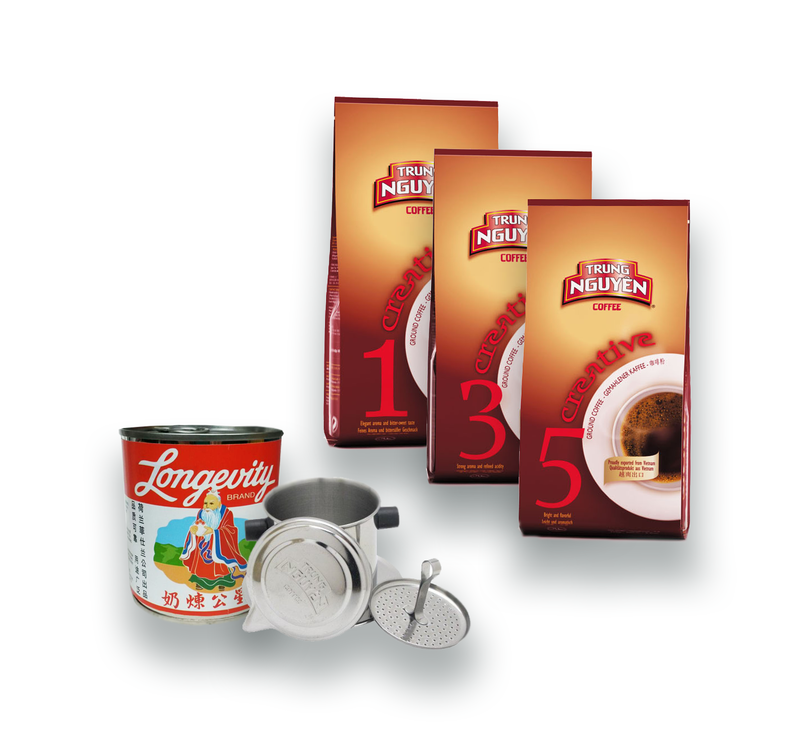 1, 3 and 5 ground coffee, 397 g can of vietnamese condensed sweetened milk and 150g metal coffee filter Phin. Trung Nguyen Creative No.1 ground coffee: Elegant aroma and bitter taste of Culi (single, unsplit, peaberry) Robusta beans. Dark, strong, full-bodied and naturally bitter-sweet taste. Trung Nguyen Creative No.3 ground coffee: Strong aroma and refined acidityof Arabica Se beans. One of the world’s most select and superior Arabica coffees from the Buon Me Thuot highlands of Central Vietnam. Se means “Sparrow”, the name given to this indigenously developed varietal, grown only in Vietnam. A sweet, refreshing coffee with no bitterness. Floral and vanilla notes; extremely versatile. Trung Nguyen Creative No.5 ground coffee: Strong and flavourful of Culi Arabica beans. Hand-selected Culi (peaberry) Arabica beans for intense and complex Arabica flavour. Fragrant, smooth, yet with a dark edge from the peaberries, this is a gourmet’s choice. Many thanks to you guys for this set. This coffee is as good as in my favorite Vietnamese restaurant. Rich taste with the strong chocolate flavor. Filter Phin nice and is easy to use. My order has arrived today, I’m very happy, I will be buying from you again soon I’m sure! So in the future if you have any promotions or discounts please let me know! As soon as possible I will review it and recommend you to friends as well.